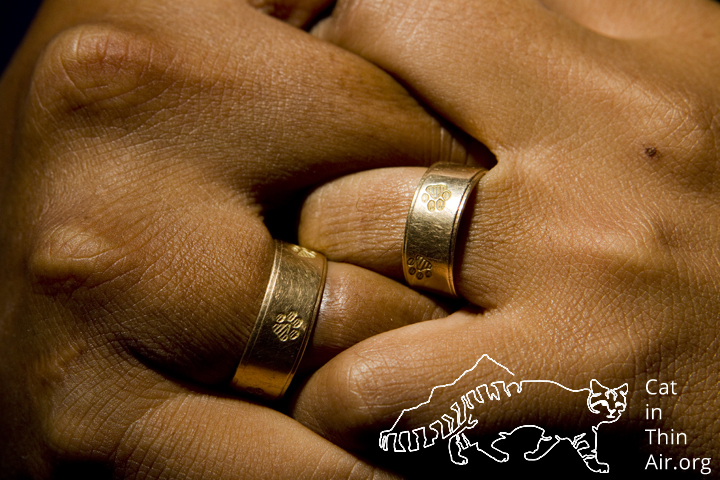 We have already met Bolivia’s Andean Cat power couple and now it’s time to meet the Andean Cat power couple of Argentina, Cintia Tellaeche and Juan Reppucci. 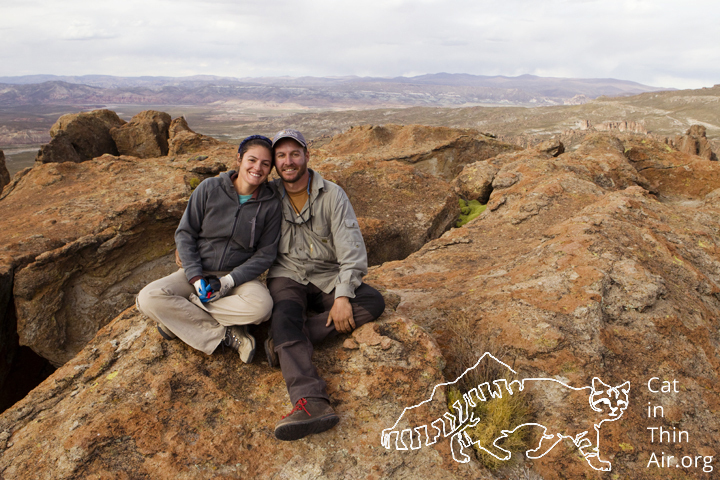 With eighteen years of combined field experience these two have led the research in understanding the ecology of the Andean Cat. 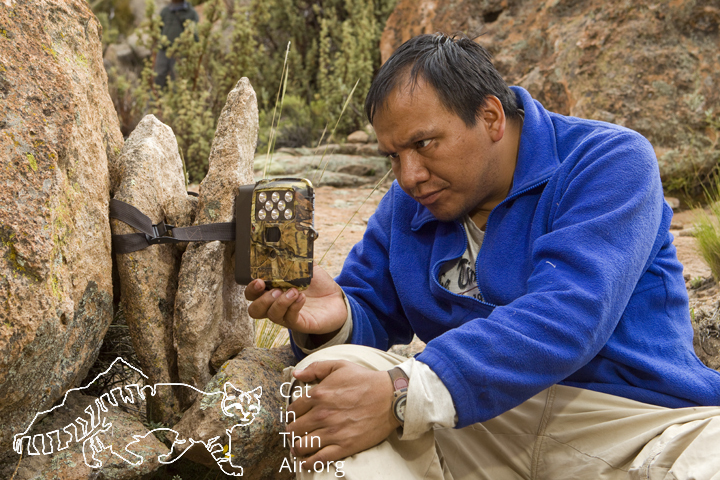 Using camera traps (see picture above) they were able to come up with the first density estimates of Andean Cats. 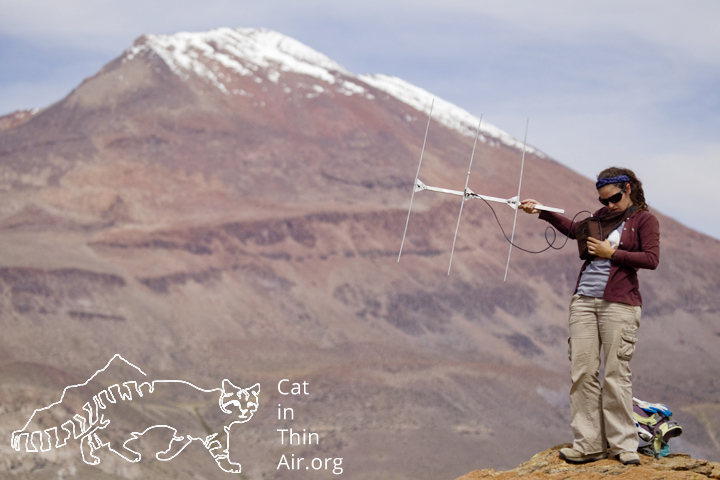 They determined that in their study area, Andean Mountain Cats occurred at an average density of 0.095 individuals per square kilometers. Compare that that to the Pampas Cat, which live in the same area in the Andes, and who have a density of 0.76 individuals per square kilometer, and you realize exactly how rare the Andean cat really is. 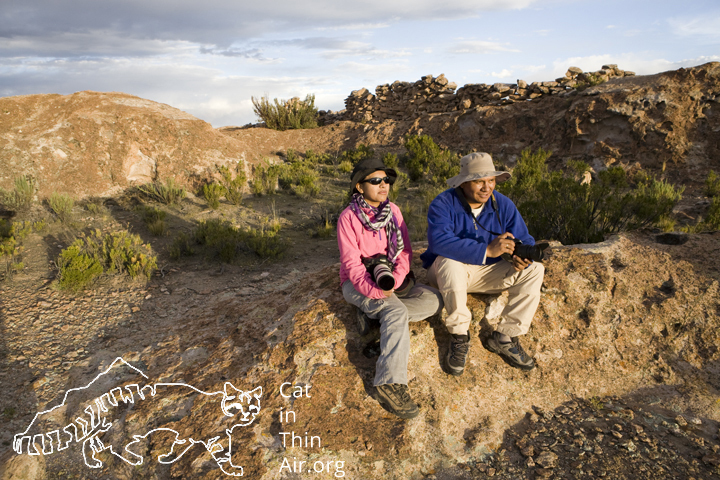 To put it into even simpler terms, Juan and Cintia calculated that there is one Andean Cat per every 10.50 square kilometers (that’s about the size of 500 city blocks). Talk about finding a needle in a haystack….. 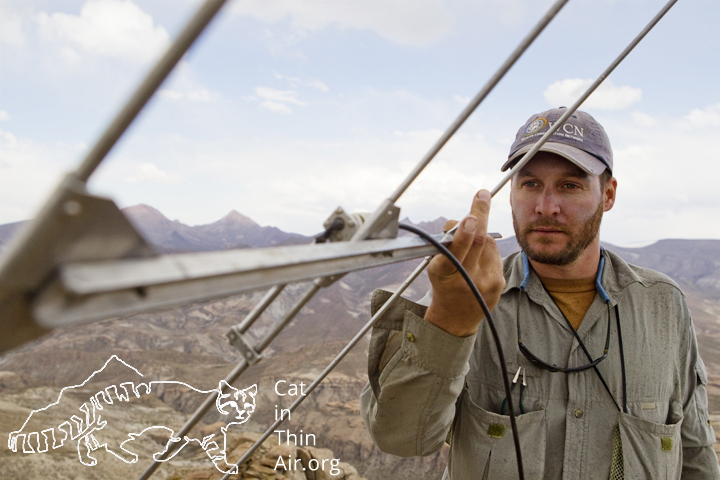 They are continuously trying to collar new cats (and re-collar older ones) to determine habitat use, activity patterns, and how those compare to the closely related Pampas Cat which lives in the same area as the Andean Cat. This work is in no way easy. 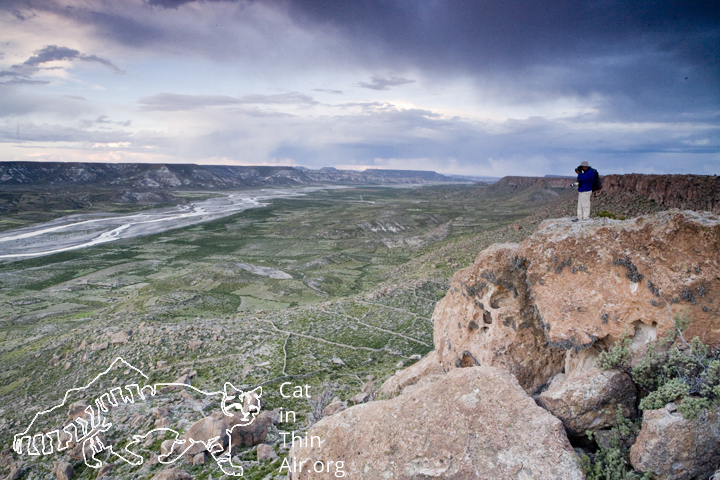 Constantly running up and down 15,000 foot mountains not only leaves you breathless but can have more severe effects. 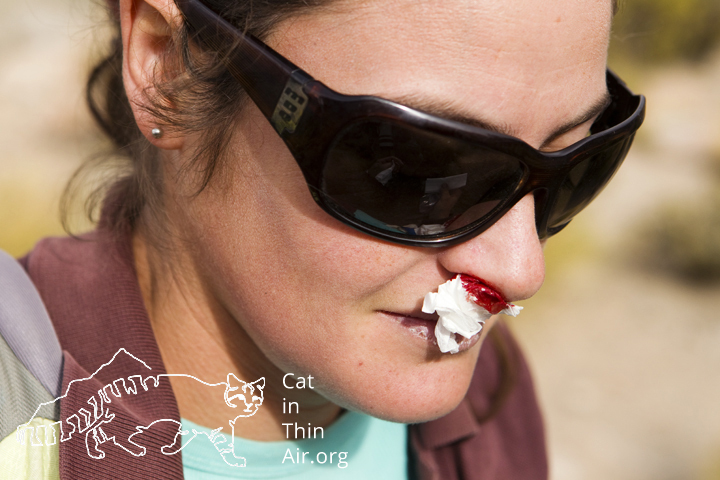 Cintia Tellaeche has a bloody nose from the effects of high altitude, northwestern Argentina — this probably would have slowed down and made most people turn around to get to lower altitudes but Cintia kept trucking on as if nothing happened. Saying that she is a strong person would be an understatement. The nights in the mountains can easily get to – 20ºC (-4°F) below zero. 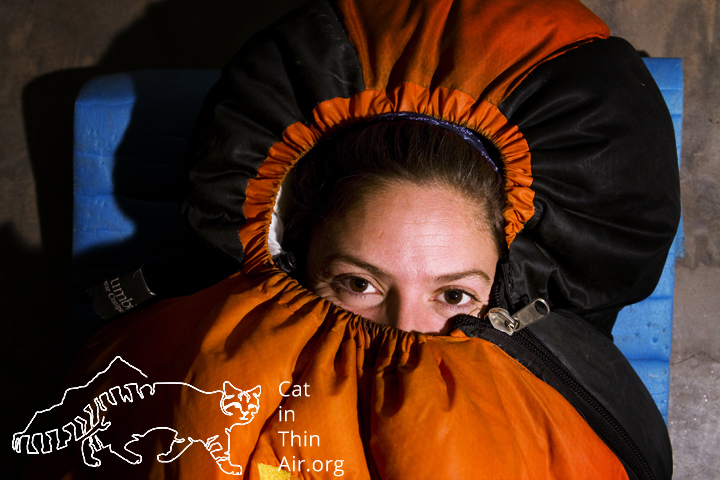 Sure makes Cintia Tellaeche happy to have a good sleeping bag! 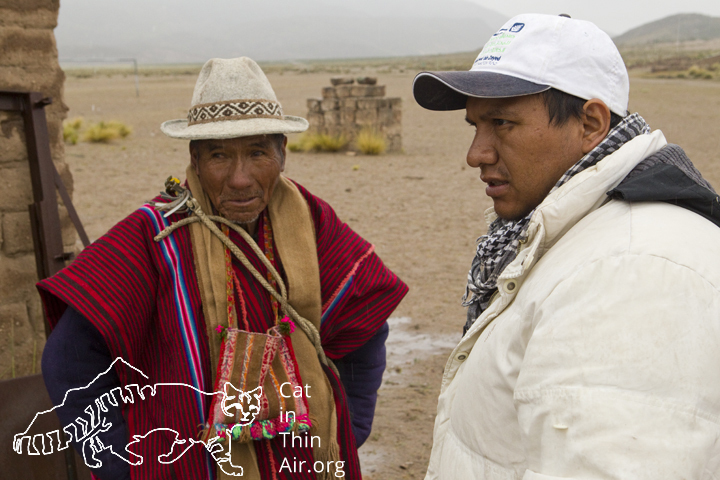 Cintia and Juan are gearing up now to go back into the field next year. 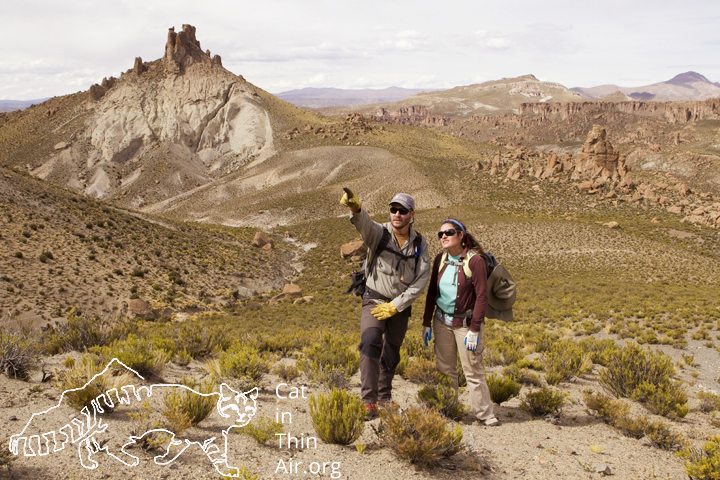 These research expeditions (and they are expeditions) require not only the researchers never-ending commitment (which Juani and Cintia more than have), but they also require money. Since they are too humble to ask for donations, I will ask for them. 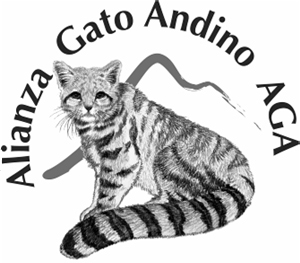 By donating to the Andean Cat Alliance you can directly help these amazing biologists uncover even more information about the Andean Cat. 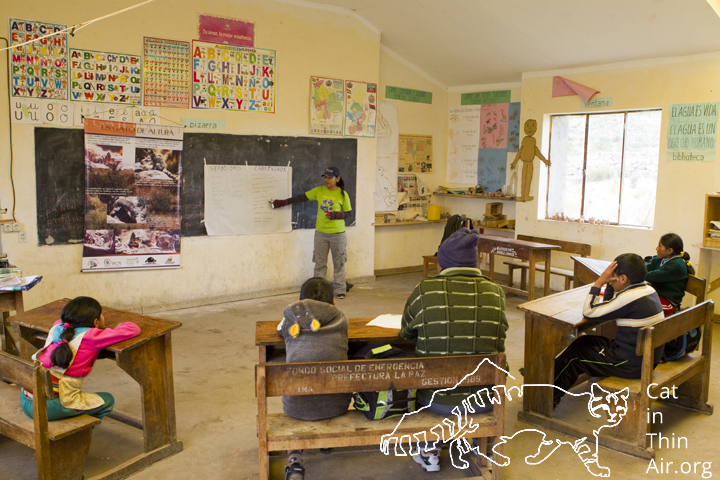 Their data will provide the baseline information needed to make proper conservation decisions on how to protect the Andean Cat. 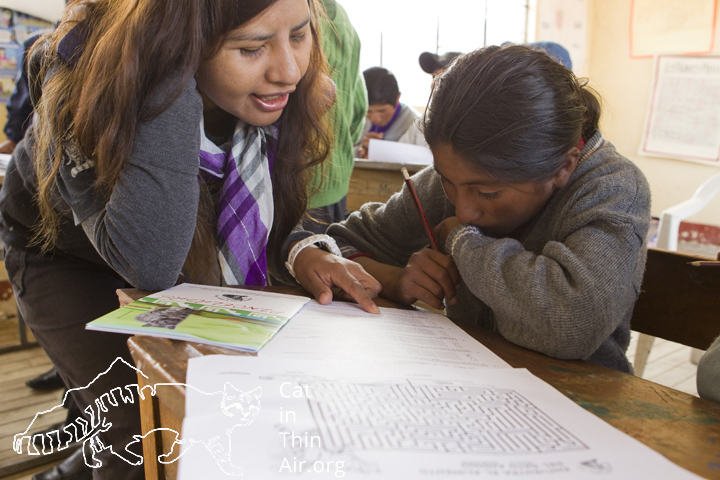 On a personal note, I was able to spend two weeks with both Cintia and Juani in the field. Their work ethic is awe inspiring, their resilience breathtaking. Juani and Cintia, I am so very honored to call you friends. 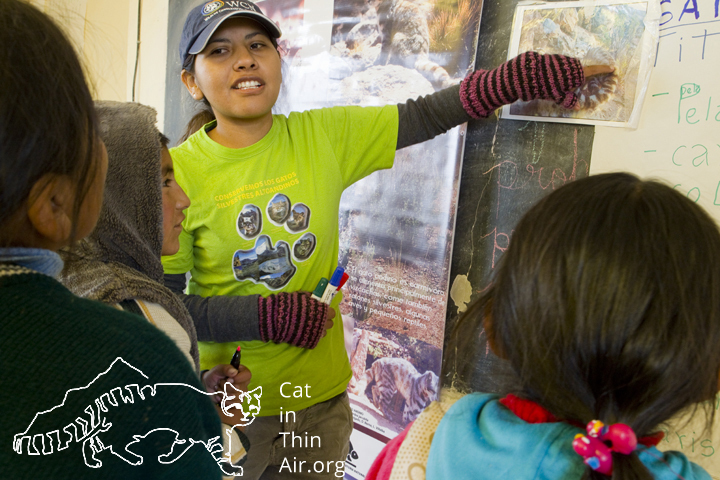 Hunting, prey reduction, habitat loss, and habitat fragmentation are the major threats to the Andean Cat.